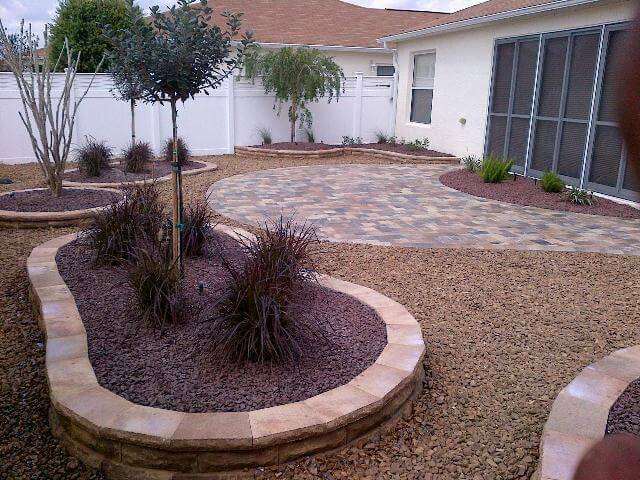 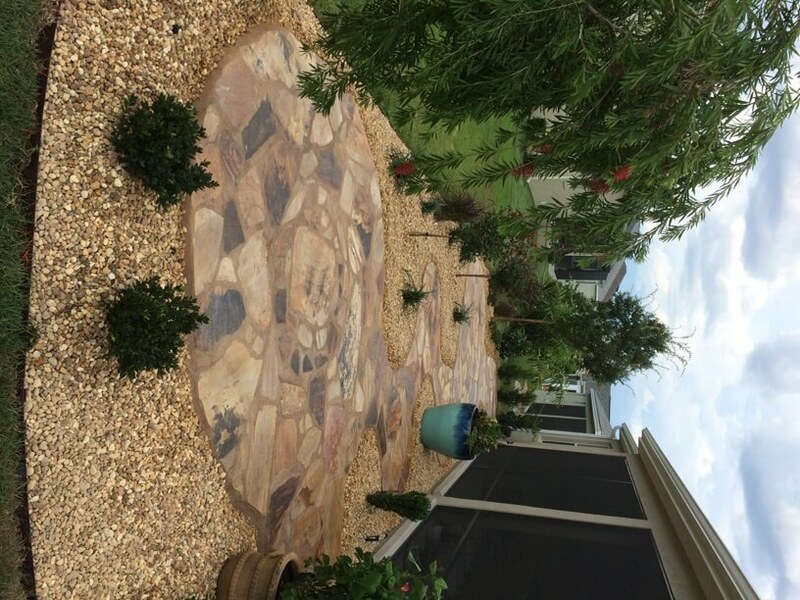 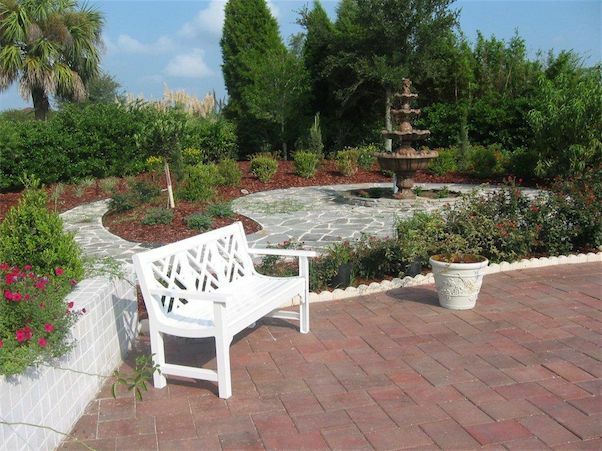 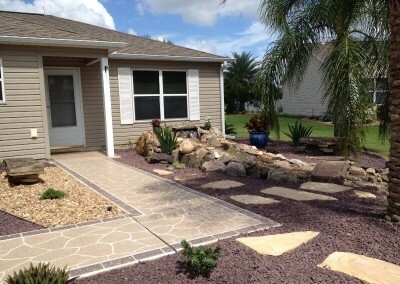 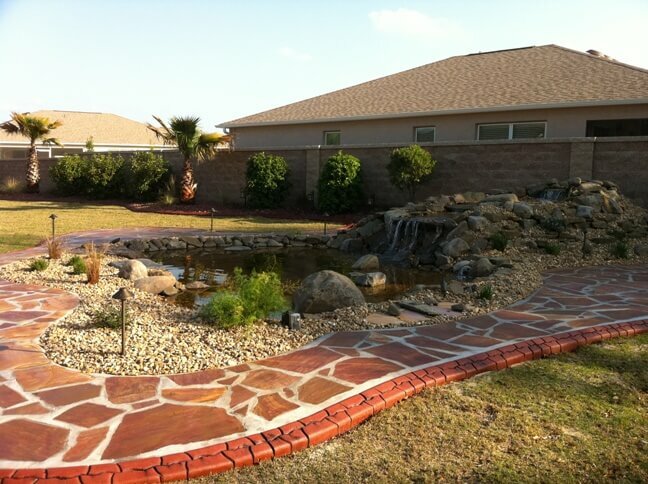 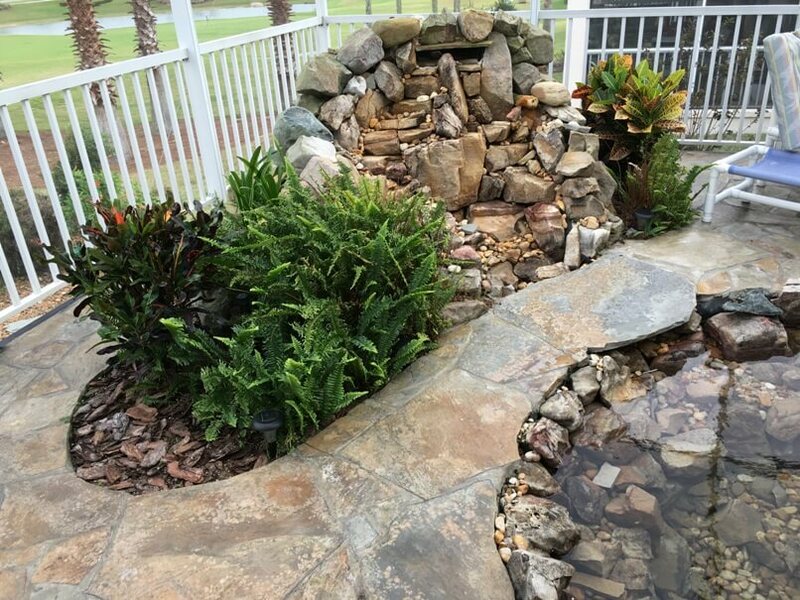 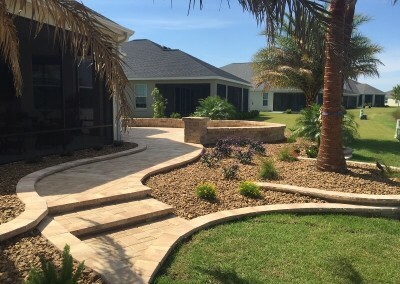 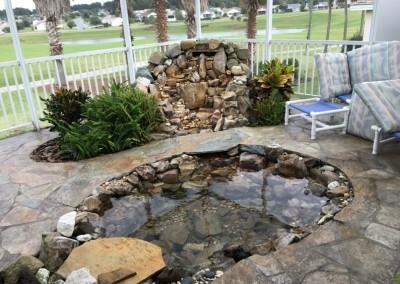 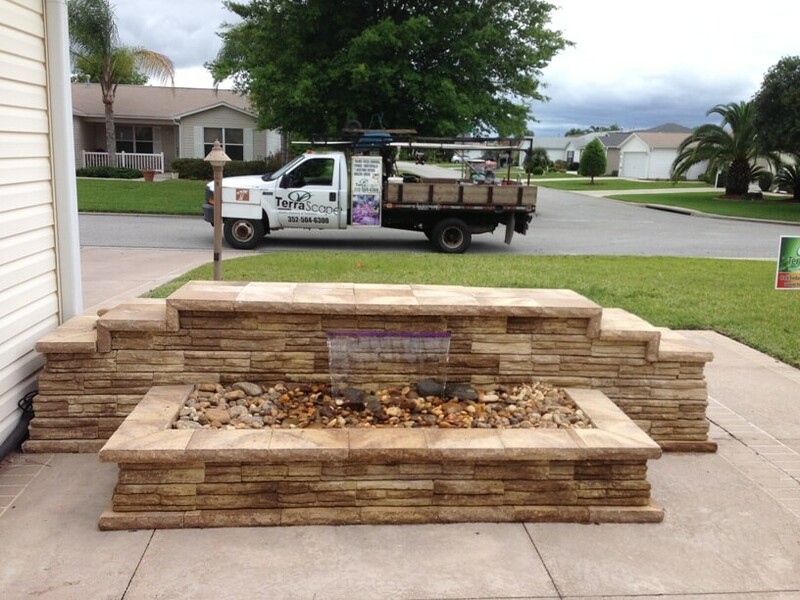 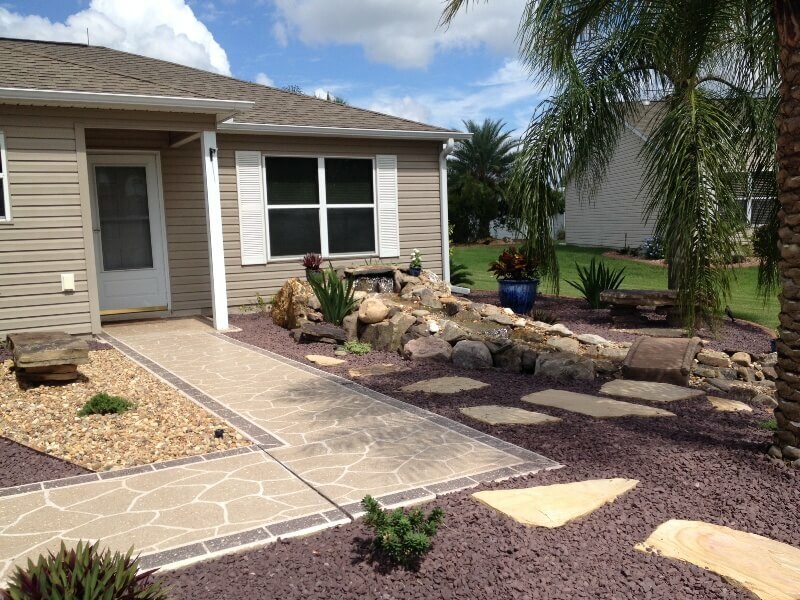 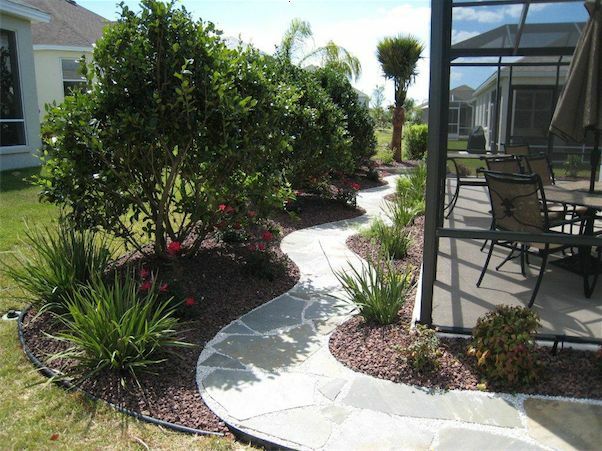 Add year round outdoor living space to your home with the addition of walkways, outdoor kitchen space or a patio where you can enjoy our Florida lifestyle and entertain family & friends Utilizing brick, flagstone or pavers. 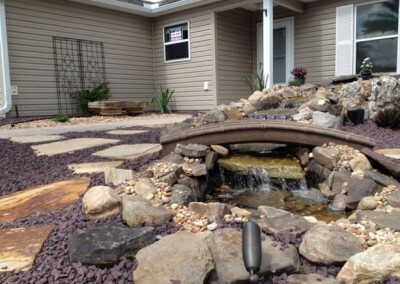 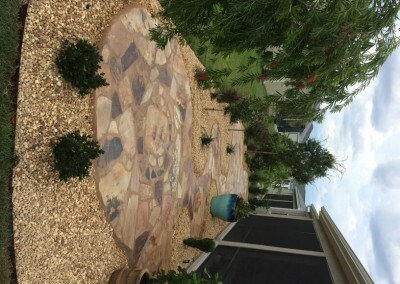 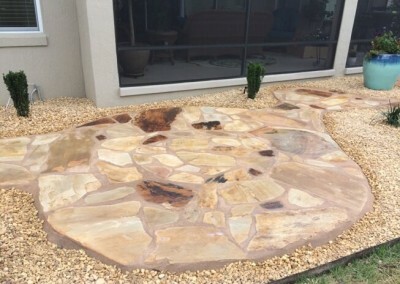 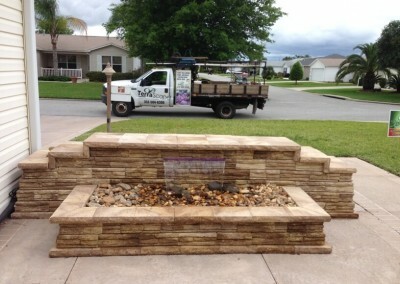 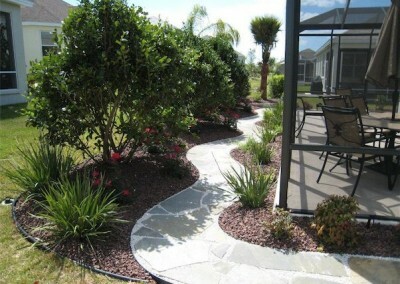 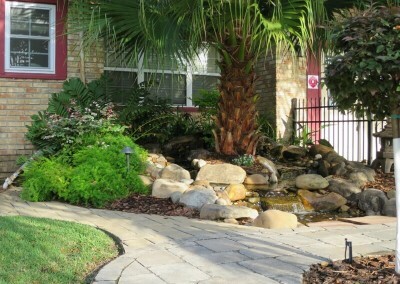 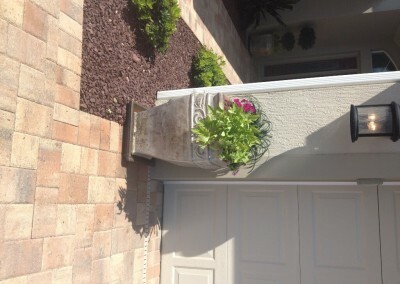 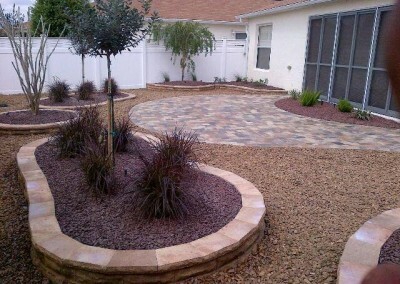 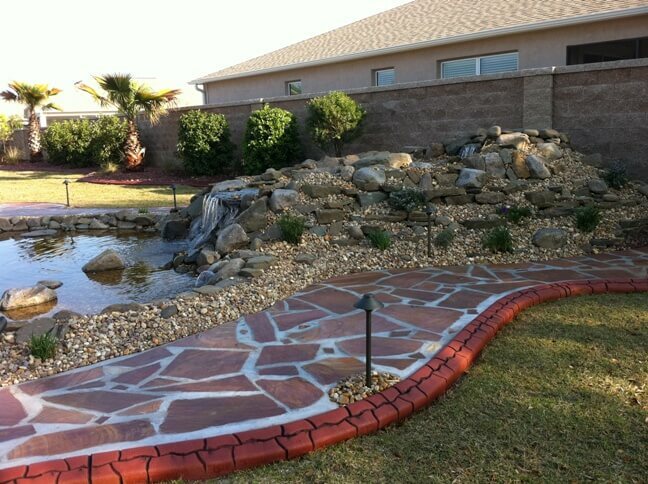 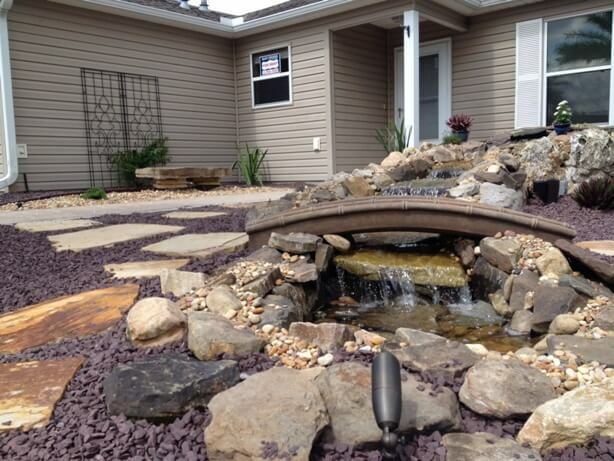 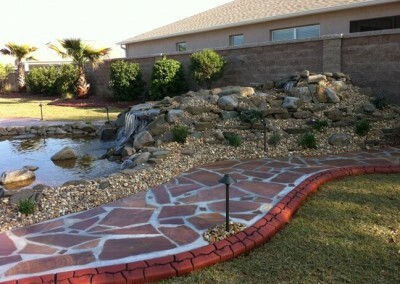 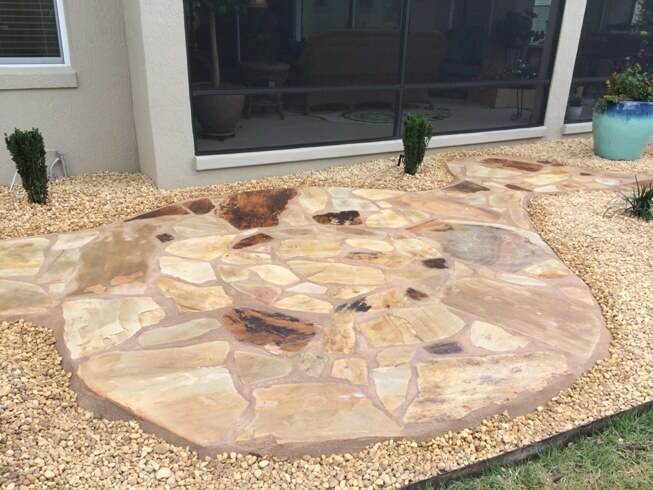 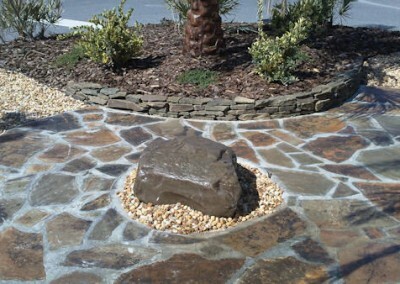 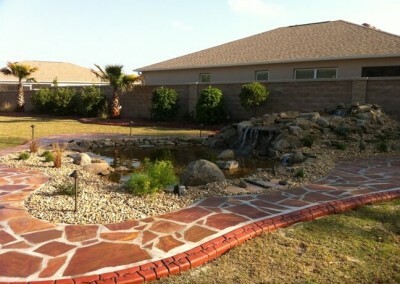 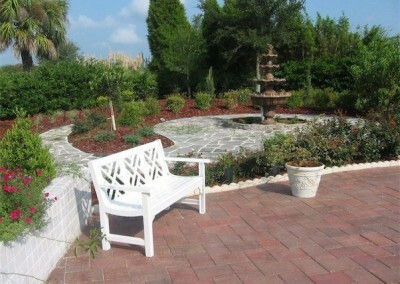 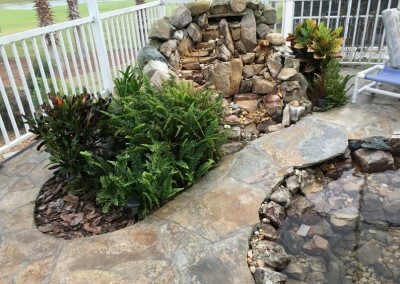 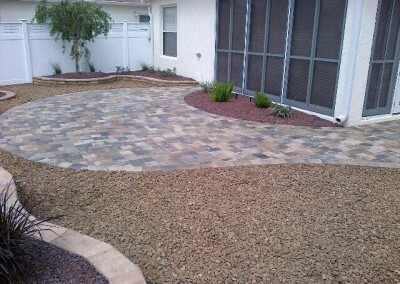 There is no mystery in picking the perfect hues for your new hardscape, just a bit of planning & consideration up front. 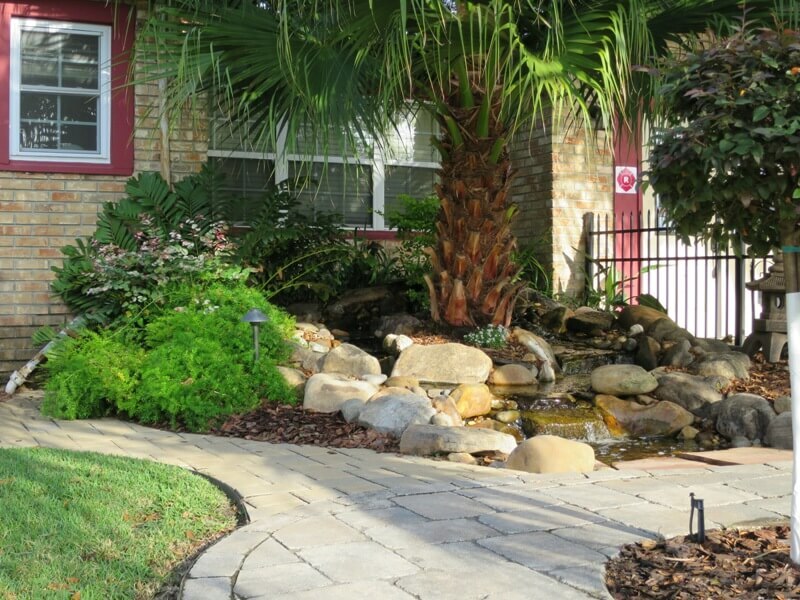 The best advice when choosing brick, flagstone or paver colors is to select hues that work in harmony with your home environment. 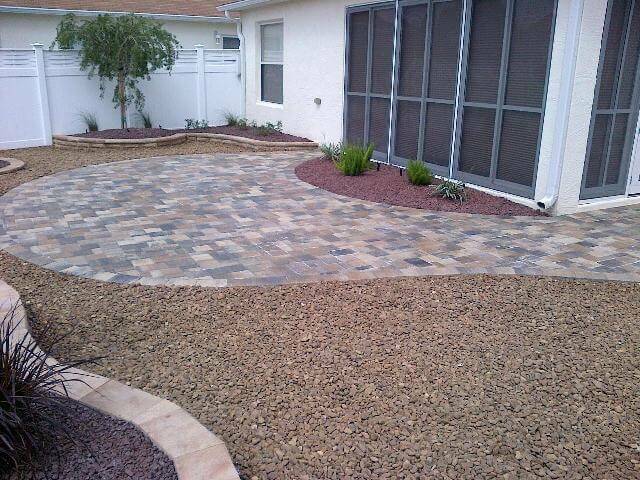 Material a few shades lighter than the color of your house won’t compete for attention. 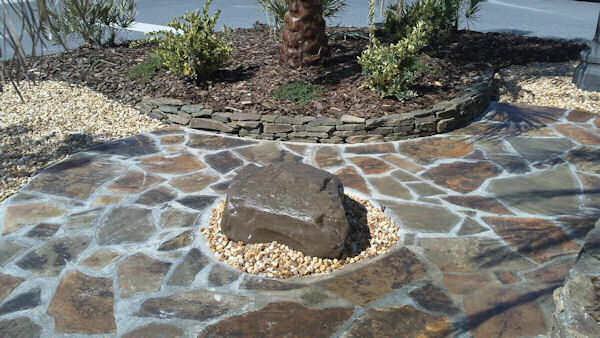 When designing an area we consider where the sun hits, how long it stays sunny in that location & how much shade is being cast there. 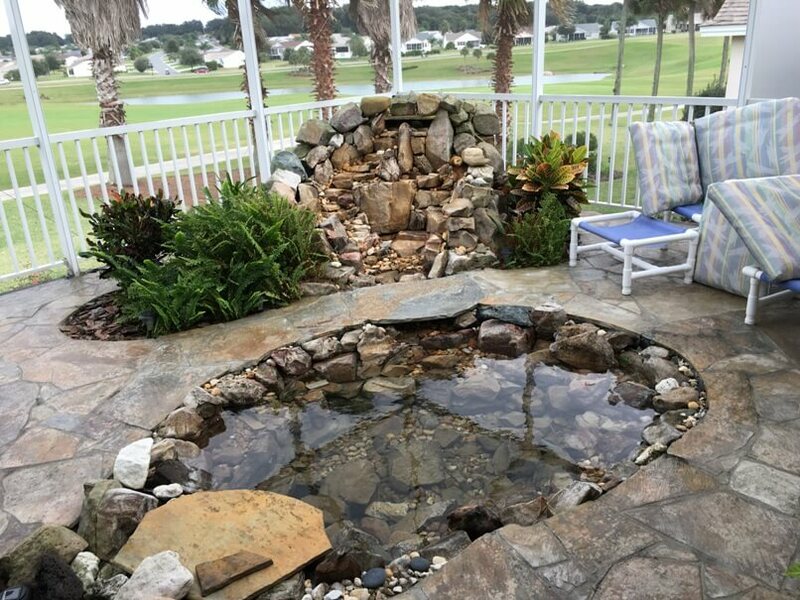 Should the area blend in calmly to create a subdued appearance, or do you prefer the area to appear more vivid to energize subdued surroundings? 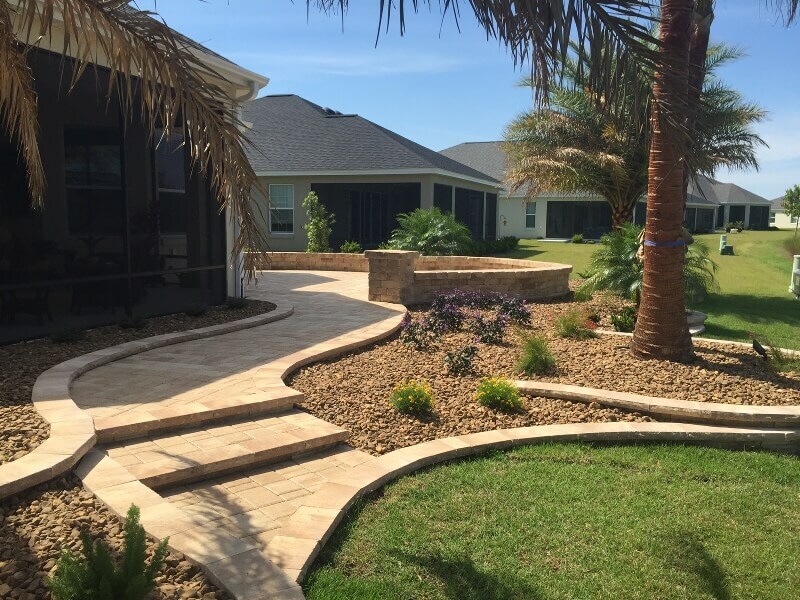 For homes with simple, straight lines & little ornamentation, materials with interesting shapes installed in a simple geometric pattern work nicely. 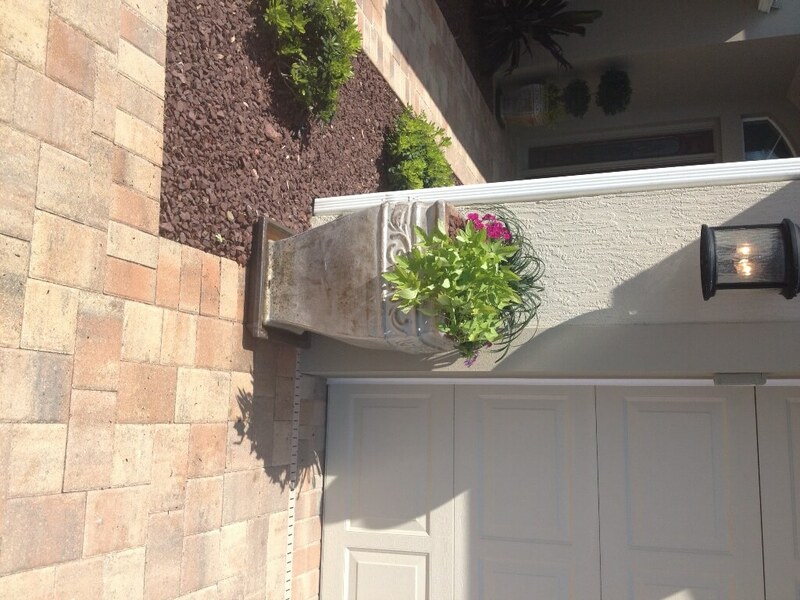 We offer homeowners an unparalleled world of possibilities with a myriad of color, style, texture & design options.